In 2019, it’s no longer an option not to have video marketing: But you knew that already, didn’t you? As I have the past few years, I keep an eye out for all the “trend” blogs and articles in December and early January to then put together my own best practices blog, and yes, some trends that are important to keep an eye on. This year – more than others – it’s been harder to nail-down stand-out trends for video marketing. It seems that previous years’ flashiest video marketing trend predictions have been slow to take hold. For example: AR (augmented reality) and VR (virtual reality) are still only emerging, drones are all over the place (at least where they are allowed to fly) but haven’t hit the mainstream. Thanks to YouTube’s popularity, horizontal video format is still prevalent. That said, square and vertical video formats are slowly taking a stronger foot-hold. 81% of businesses use video as a marketing tool. I would venture to guess that small businesses are lagging behind; I’d be surprised if more than 30% use video in their digital marketing. So this is a MAJOR opportunity to stand out! 85% of all internet traffic in the US will be made by online videos by 2020 (today it’s 80%). More than 50% of consumers want to see videos from brands – more than any other type of content. The predictions that by 2021 (insert any future year you want) marketing will be “all video” are not realistic as long as baby-boomers and Gen X’ers are still in the work force and are buying online. For now, there will still be a place for text, graphic, and illustrated content. However, video content will continue to grow exponentially and if your audience is 50 and younger then learn to love video and learn to produce video content, or have it produced (and open your wallet). Period. Last year it was “all about mobile” and that trend continues in sync with the “all video” trend. Make sure your videos are optimized for mobile (formatted for watching on a mobile device). That includes audio too, which for the most part (over 80% of the time) is turned off! Consider graphic support instead of voice-over or interview situation for most social media videos. A general development I find interesting: there’s a hint of a movement to “back to basics” as people are starting to question their screen time – especially on social media. We all have friends who’ve shut down (or at least tried to shut down) their social media feeds. I don’t think it’s a total move away from digital and video altogether, but rather a move towards more personalized and authentic digital connection. 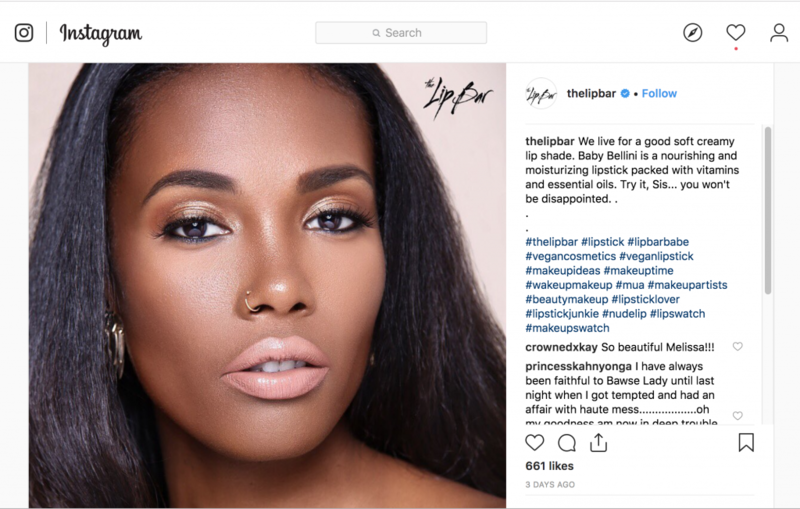 To quote Melissa Butler, founder and CEO of The Lip Bar, “social media has played such a big part in pressuring us to show up in a certain way”. Now, people are looking to reconnect with who they are, go back to the basics. One trend to keep an eye on, and one technology now available for small businesses, that gets me super excited! One Trend I do see, are MEGAVLOGS on YouTube, otherwise known as extralong video-blogs. Currently, there’s only a handful of people who get away with that, Casey Neistad being one of them. Check it out: https://youtu.be/Gnr2k-VvsCc. For the rest of us mortals: Please stay under 2.5 minutes for your Vlogs! The Trend that gets me jumping out of my socks, is Interactive Video. This has been around for a long time. YouTube has a clunky and – dare I say – awful version of it. Youtube, FB, and Insta will not allow third-party hosted videos as “native” videos on their platforms, but you can host elsewhere (Wistia, etc), and then embed a link on social media sites. If selling and interactivity are important to you, then you will most likely consider those draw-backs for the huge bonus of people being able to click INTO your video and buy directly. Let’s have a look at video marketing tips to lead us into a productive and focused video marketing strategy and production for 2019! Strategy and analytics are the most important features of video marketing for a small business owner. Video is still a time and money investment that some small(est) business owners find hard to justify and yet most understand that video is a ‘must have’. So make sure you spend wisely and PLAN wisely. No use creating videos that don’t hit their mark just to have “a” video!! Calculate YOUR time learning and creating video content into your video marketing strategy and budget to make sure you allow for enough time and resources! Be super specific on your audience (this is tried and still oh, so true, advice)! The more niche the better! Don’t waste money on tons of professional equipment. Shoot with your iPhone/smart phone. If you’re interested in investing in equipment, I suggest have a video shot for you to see how it works for your business before making ANY investment into equipment. Don’t be intimidated by all the different kind of videos! Video can be divided into two categories based on what they do and how they are being done. It really is up to you to decide what the video should accomplish, and how. See below “Video Category 1 and 2. When in doubt, get some help! Between blogs like this and investing into professional services, you don’t need to struggle through it alone. And finally, just get started! Where they play and what the result is after watching them. I.e. : explainer videos, Vlog videos, promotional videos, etc. They Accomplish something: create awareness for your company, or for a service, establish you as the expert, help a client understand what your company, service, or product does, explainer videos, etc. How they are being produced. I.e. : live-action, docu-style interview and b-roll, whiteboard, animation, slideshow, floating text, etc. Which production format you choose: How you want to sell, or showcase, or explain your content. To get started with some professional guidance: Book a free 30-minute consultation with me through this link! Happy New Year and Best Wishes for a Sensational 2019 to You and Those that Matter to You!